A festival for advanced youth choirs, under the direction of one of our nations leading vocal specialists, taking place annually in one of the Pacific Northwest's finest concert venues. Our first Youth Choir Festival NW was held in 2013. We plan to offer this festival every 2-4 years, with the next one currently being planned for 2020. Thank you to all of our 2017 Festival Choirs! More information will be available soon about future Youth Choir Festival Opportunities. ​We have plenty of tickets that will be available at the door starting 1 hour before the concert. Youth Choir Festival Northwest is open to all auditioned, advanced choirs (grades 6 through age 20). We have separate tracks for treble (SSA/SSAA) and mixed (SAB/SATB) voicing. Children's choirs, youth choirs, middle school and high school choirs, community and church choirs are all invited to join us! 2017 Festival Fee: $195 per participant (singer, chaperone, director) - covers rehearsals, concert, lodging, three meals, snacks, evening social and festival t-shirt. All festival activities will be held on the beautiful campus of Pacific Lutheran University, centrally located in Puget Sound. Festival rehearsals and concert take place in the exquisite Lagerquist Concert Hall housed in the Mary Baker Russell Music Center - an architectural and aesthetic jewel carefully set amid majestic trees. Participants stay overnight in the college dormitories near the music building (double occupancy). Linens are provided. Pacific Lutheran University is located in Tacoma, WA - a short drive from Seattle, WA and surrounding areas. 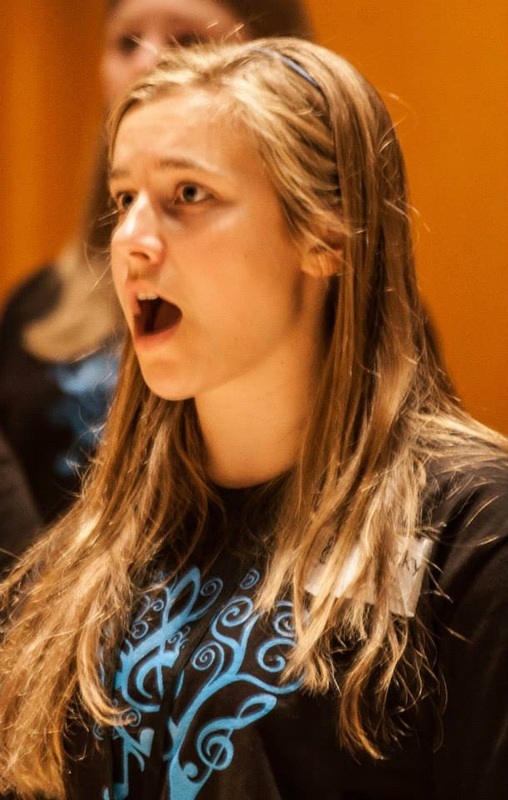 Youth Choir Festival Northwest is purposefully designed as a non-competitive festival. The goal is to serve as a musical sharing and exchange - connecting choirs from around the United States, Canada and abroad. Each choir comes prepared with their own set of music to share in the final concert in addition to learning four massed choir selections that will be rehearsed with the Festival Guest Conductor. Youth Choir Festival Northwest is presented by Exceptional Choral Events, which has a 16-year track record of excellence running the Fort Worden Children's Choir Festival. Build an extended tour to Seattle or the Pacific Northwest with the Fort Worden Festival as your main musical attraction. We would be happy to assist you in locating additional performance opportunities, choir-exchange connections, churches to sing at on Sunday morning, and fun activities to make this the perfectly balanced tour for choirs from all parts of the country and abroad. 2013 Guest Conductor: ANDRÉ J. THOMAS, the Owen F. Sellers Professor of Music, is Director of Choral Activities and Professor of Choral Music Education at Florida State University. A previous faculty member at the University of Texas, Austin, Dr. Thomas received his degrees from Friends University (B.A. ), Northwestern University (M. M.), and the University of Illinois (D.M.A). He is in demand as a choral adjudicator, clinician, and director of Honor/All-State Choirs throughout the United States, Europe, Asia, New Zealand, and Australia. In 2011, Thomas’ dedication to and accomplishments in the choral arts were recognized by his peers in Chorus America, when that organization presented Dr. Thomas with its Distinguished Service Award. He is a past president of the Florida ACDA, and the past president of the Southern Division of ACDA. Festival Accompanist: DR. ANDREW SEIFERT is pleased to serve Exceptional Choral Events as Festival Accompanist for both the Fort Worden Children's Choir Festival and Youth Choir Festival Northwest. In demand as a pianist, conductor, theatrical director, and educator, Seifert holds a Bachelor of Music degree from Chapman University (Orange, CA) and a Master of Music degree and Doctorate of Musical Arts degree from the University of Washington (Seattle, WA). As a pianist, Seifert is currently in his sixth season as Lead Accompanist for the Northwest Girlchoir (Seattle, WA), playing primarily for the advanced choirs (Amore and Ensemble), but also serving the entire organization as a vocal, theory, and foreign language coach and resident musical arranger. He has joined the Northwest Girlchoir, now in its 40th year, in all of Seattle's major concert venues as well as those throughout the Northwest and in Australia, Finland, and Estonia. Equally happy sharing the stage with professional and amateur musicians, he enjoys collaborating with singers and instrumentalists of all levels during recital appearances, theatrical events, competitions, and educational workshops. As an educator, Seifert has been honored to return to both of his alumnus universities: as a visiting professor of conducting and guest conductor of the University Singers at Chapman University and as a guest lecturer for the opera workshop at the University of Washington. He has also taught music theory and is a proponent of student compositions and the performance of lesser-known works. Seifert began his operatic directing career with four seasons at the Jarvis Conservatory (Napa, CA), the only professional Spanish operetta theater in the United States. He has directed numerous productions for Northwest universities and colleges and professional companies in the United States and abroad. Recent productions include Pucinni's La Bohème at the Teatro Bramante (Urbania, Italy), Copland's The Tender Land for the inaugural season of Vashon Opera (Vashon Island, WA), and the world premiere of Seattle-based composer Gloria Swisher's Poker Alice. Seifert also currently serves as Director of Music, overseeing eight diverse musical ensembles, at St. Thomas More Parish in Lynnwood, WA.